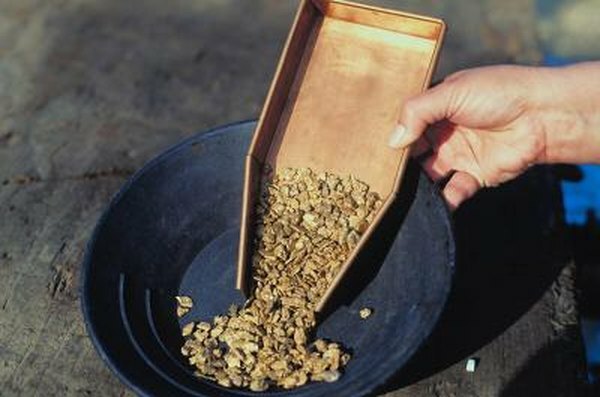 Investing in penny gold stocks gets you in on the ground floor of mining operations. 3. What Causes the Price of Gold Stocks to Fluctuate? Nothing guarantees profits in any investment, but the potential to make money with penny gold stocks starts with finding well-run companies. A penny gold mining company should have the same characteristics of a blue chip company. The company needs to have an experienced management team in place overseeing the ongoing mining operations. The financials should be strong enough to attract investment capital that is used to grow the business. Although penny gold stock shares sell for $5 or less, that can quickly change if the company strikes gold or becomes an acquisition target by a larger gold mining corporation. The OTCBB, or Over the Counter Bulletin Board, is home to many corporations that exist only on paper. Verify that a corporation touting itself as a gold stock company owns or has access to land with known gold reserves and has ongoing mining operations. If the company owns the land, the deed is recorded in the public records. If the mine is located on public lands, the U.S. Bureau of Land Management has the documents on file proving the company has the right to mine for ore. When investigating gold penny stocks, look at the company’s filing history with regulatory agencies. Companies listed on the OTCBB must register with the Securities and Exchange Commission and must be filing their quarterly and annual financial reports. The filing requirements for OTCBB companies are far less demanding than those for companies listed on the major stock exchanges, so it is a warning sign when a company cannot meet the OTCBB minimal filing requirements. You can go to the SEC website, view the filed documents, and verify that the company is current with its filings. Penny gold stock company financial statements are public record and available on financial websites. These documents reveal a company’s financial health. The balance sheet lists the company’s assets and liabilities. The assets should be larger than the liabilities. The equipment account shows how much money the company has invested in mining equipment. The income statement tells how much revenue the company earns and the expenses that it pays. The cash flow statement reveals the company’s revenue sources along with its operating, investing and financial activities. The company financial statements should make sense and help you decide if the stock is worth buying. The officers and board of directors play a critical role in determining the success or failure of a penny gold stock. The management team must have sufficient education and experience to move the company from the OTCBB onto a major exchange. Equally important is the presence of mining experts such as engineers and geologists that know how to find and extract gold from the earth. Another thing to look for is whether management is buying or selling company shares. Managers who have large stock holdings with minimal selling indicate they have a personal stake and commitment to the company’s success.